These sterling silver wave ear climbers are perfect for summer! Many mystics have said the heart is all encompassing, like a great ocean. When we feel overcome with feelings, we often say we are swimming in a sea of emotions. 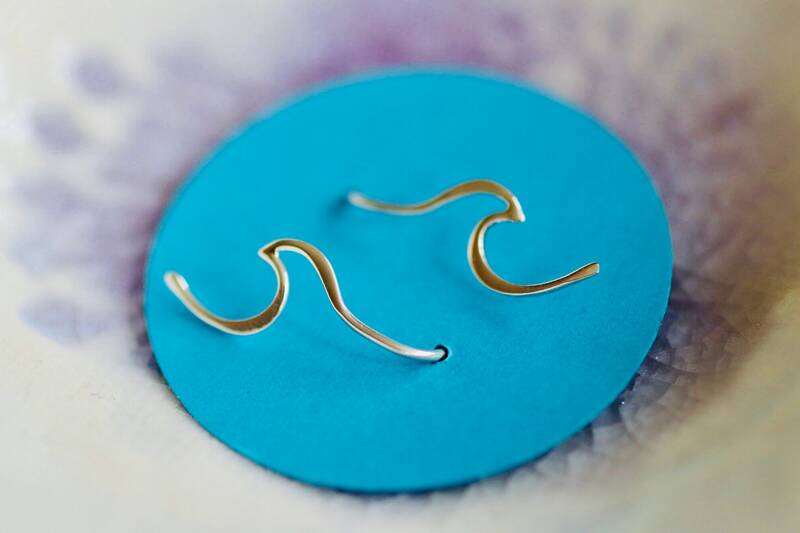 Our wave earrings represents the unknown, the deep subconscious, the spiritual, the feminine element...or maybe just a beautiful day at the beach! All of our items come in a mini keepsake box and are ready to be gifted. Beautiful. Exactly what I was looking for. Good quality and arrived in a timely manner. My sister will love it! Great quality and put it all together with extra links. My nieces loved them!